Run by self-proclaimed travel fanatics and former classmates Tejaswini Gopalaswamy and Gurudeep Ramakrishna, Unventured aims to get you into the saddle and onto the open road, with cycling breaks across India. Promising to be accessible for anyone with even moderate experience, they run day trips out of Bangalore to help would-be adventurers prepare for their holidays. 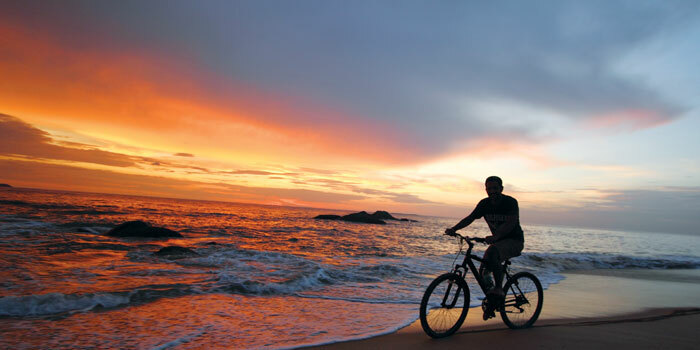 The latest expedition is Spice Trail, a tour of Kerala that will take you from the markets of Fort Kochi to the spice plantations of Thekkady, incorporating a stunning coastal ride. November 15 a�� 22. Rs.A�35,000. ing Wayanad in Kerala. Rs.A�7,000. If you thought that you had to head out of the country for snorkeling, think again. West Coast Adventures has underwater jaunts all taken care of, with over 10 dive sites around the Netrani island, just 10 nautical miles fromA�Murudeshwar in western Karnataka. For complete beginners, the day package that starts in the pool before moving out into the open water is perfect, and they also offer four-day PADI open water diving certification. Courses ongoing.